Below is a listing of common terms used when discussing mortgage loans. Mortgage in which the rate of interest is adjusted at regular intervals based on a standard rate index. Most ARM’s have a cap on how much the rate may increase. The process through which the mortgage debt is altered, usually declining, as payments are made to the lender. “Negative-amortization” occurs when monthly payments are too small to cover either the principal or interest reductions. The rate of interest to be paid on a loan projected life; sometimes referred to as the “true” rate of interest. A professional evaluation of the value of a home or other piece of property. It is often required by the lender. A real estate loan in which some portion of the debt will remain unpaid at the end of the term of the loan. A balloon will usually result in a single large payment due when the loan ends. A limit on how much a mortgage interest rate may increase or decrease for an adjustable rate mortgage. A home loan that follows a fixed rate. A ratio used by lending institutions to determine whether a person is qualified for a mortgage. Debt-to-income is the total amount of debt, including credit cards and other loans, divided by the total gross monthly income. Failure to pay the mortgage payments over a specified period of time. A percentage of the mortgage paid to the lender to lower the interest rate on a loan. One point equals one percent of the mortgage. The difference between the market value of a house and the amount still owed on the mortgage. Money and documents deposited in a trust account to be held by one party for another. Often used by brokers to hold deposit money prior to closing. Also used by lenders to hold money for taxes and insurance on a home. 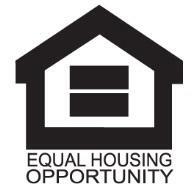 A loan guaranteed by the Federal Housing Administration. FHA issues specific guidelines for mortgages. The amount of the loan divided by the purchase price of the house. If a refinance, the loan is divided by appraised value. A set number of percentage points a lender adds to the index to determine the interest rate for an ARM. Insurance designed to cover the lender should the borrower default on the loan. Depending on the lender, this may be required by the lender. PITI stands for principal, interest, taxes and insurance – the components of the monthly housing expense. Principal – the portion of the monthly payment that is used to reduce the loan balance. Interest is the fee charged for borrowing money. Taxes refer to the property taxes paid by the homeowner. Insurance refers to homeowner’s insurance – insurance purchased by the borrower and required by the lender, to protect the property against loss from fire and other hazards. Taxes and Insurance that are included in the monthly mortgage payment are held in an Escrow account by the lender who then pays the full amount when they come due. An interest fee charged by the lender. One point is equal to one percent of the mortgage. The use of points allow the borrower to buy up or down his permanent interest rate. A fee imposed on a borrower who pays off a mortgage before it is due. A process by which a potential homebuyer qualifies for a home mortgage before making an offer on a house. A lending institution agrees to make a loan in a specified amount to the person it has pre-qualified. An additional mortgage on a property. It often carries a shorter term and a higher interest rate than the original mortgage. A company that searches for titles and insurance claims. Your loan will close at a title company. A federal law that requires lenders to reveal all the terms of the mortgage. A loan guaranteed by the Veterans Administration. To obtain a VA loan, the borrower must have served in the Armed Forces.